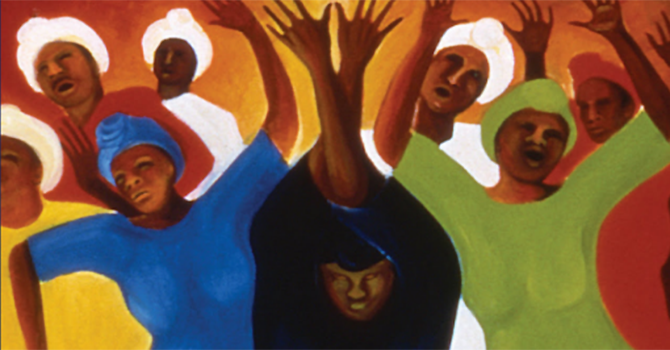 Though the spirituals emerged from the worship of enslaved Americans and were not originally created for the liturgical calendar, their focus on the suffering Jesus makes them a good match for the Lenten season, Powery said. In addition to his role as dean of Duke University Chapel, Powery is an associate professor of homiletics at Duke Divinity School. Before coming to Duke, he served as the Perry and Georgia Engle Assistant Professor of Homiletics at Princeton Theological Seminary. He has a degree in music from Stanford University, an M.Div. from Princeton Theological Seminary and a Th.D. from Emmanuel College, University of Toronto. His teaching and research interests lie particularly in expressions of the African diaspora. Powery spoke to Faith & Leadership about his book, “Were You There? Lenten Reflections on the Spirituals,” and why he hopes to share the spirituals with a wider audience. The following is an edited transcript. Q: Why choose spirituals as the basis for a Lenten devotional book? The backdrop to all of this is my work on the spirituals and preaching -- my research and book -- which was called “Dem Dry Bones.” And even predating that, my own journey and music background, singing in the church all kinds of different sacred music genres.